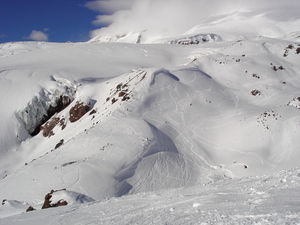 Mount Elbrus is the highest point in Europe. 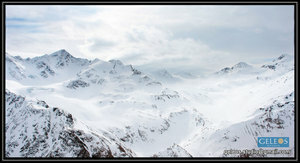 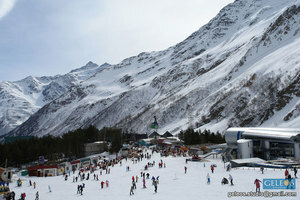 The mountain is in the Caucasus range which are considered as the border between Europe and Asia. 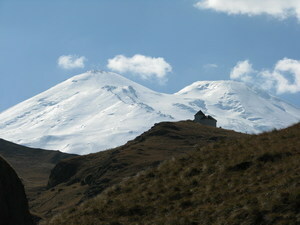 The two main summits of Mount Elbrus are in Europe. 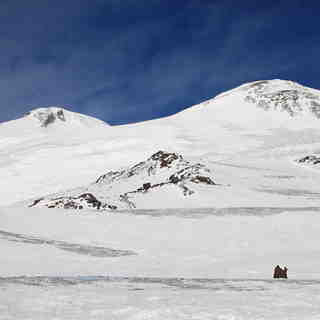 The western summit of Mount Elbrus is at 5642.7 mtrs and the eastern summit is at 5621 mtrs. 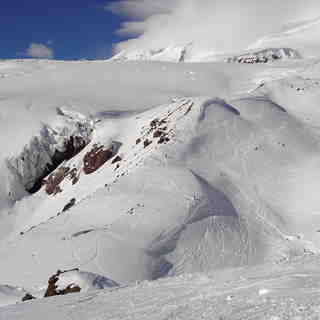 The nearest airports for accessing Mount Elbrus are Mineralniye Vody and Nal'chik.